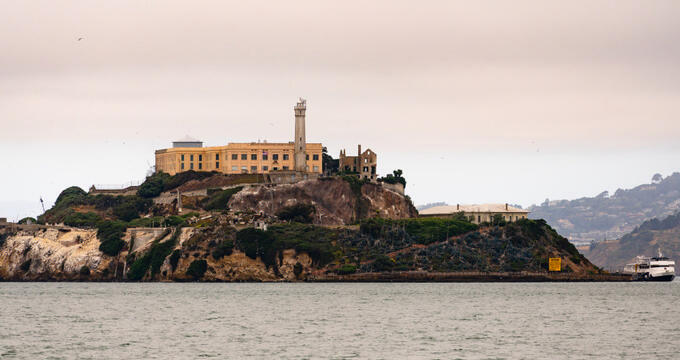 Situated just over a mile away from the shores of San Francisco, Alcatraz Island is one of the most iconic sites in the entire Bay Area. Read on to learn a little more about some of the best cruises to take in January and start planning your fantasy cruise getaway today. See below for full details and itineraries on a few of the best February cruises you might like to take. Read on to learn all about a few of the best and most popular cruises to take in March, complete with full itineraries and ship details for each cruise. See below to learn more, including full itineraries, for some of the very best cruises to take in May. Read on to learn all about a few of the best April cruises you might like to take. Read on to learn more about some of the best June cruises you might like to take and start planning your next wonderful vacation today. See below to learn more about some the best July cruises you can take, including detailed overviews of the itinerary and cruise ships involved in each cruise. There are a lot of different cruises to choose from in August. See below to learn a little more about a few of the best August cruises you might like to take. This means that budget cruises are popular in September and you can get some really good deals if you shop around, make use of price comparison sites, and do your research to find the best deals. Plan a trip to one of these exciting destinations and watch the world from the unique perspective of a cruise ship. Whether you are looking for a small vessel with just a few cabins or a mega ship that offers many entertainment and dining options, there is plenty to choose from. Many cruise ships offer programs for kids, dedicated play areas, and kid's menus at their restaurants. When planning a trip, look at the space each ship makes available to kids. Many have a separate swimming pool, water slide, a video arcade, and other facilities. Panama Canal: Many cruise line companies offer Panama Canal itineraries, giving travelers options to choose from based on budget, ship size and length. Among the large companies offering sailings are Holland America, Royal Caribbean, Carnival and Norwegian. The luxury Crystal and Princess Cruises which attracts romantic travelers, also offer sailings to the area. During the voyage, vacationers get to sail through the famous canal, observe wildlife and get to experience different land-based adventures. Smaller ships have the advantage of being able to get closer to some of the isles rich with wildlife. Abercrombie & Kent (www.abercrombiekent.com) features an expert naturalist guide that can point out animals and plants in the area. Seabourn offers its passengers suite accommodations and luxury service. Sailings usually last 14 days in length but you can look for shorter options as well. The luxury Windstar offers several sailings that pass through the area. Sailings are usually offered from October to April. Most cruises can be booked through a travel agent, online or over the phone. Caribbean: Carribean itineraries are popular in the winter months. 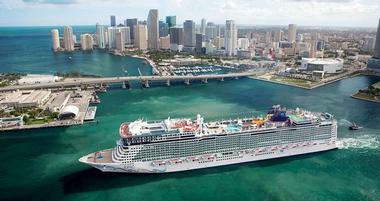 Most major cruise lines offer voyages to the Caribbean islands, including Royal Caribbean, Norwegian and Crystal. There are also several smaller yach-style luxury ships that sail in the Caribbean, including Seabourn and SeaDream Yacht Club. Royal Caribbean's fleet offers sailings to the Eastern, Southern and Western Caribbean ranging in length from only few days to a couple of weeks. 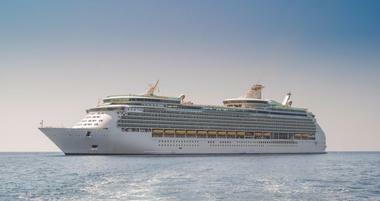 Radiance of the Seas sails a round trip itinerary from Ft. Lauderdale to San Juan, Philipsburg, St. Thomas and Nassau. Passengers get to choose from a number land based activities, such as scuba diving, snorkeling, and catamaran sailing. Norwegian features a variety of departures of all lengths, including three-day, five-day, seven-day, and 15-day voyages to Western, Eastern and Southern Caribbean aboard its large ships. f you prefer to sail on a smaller ship, Seabourn offers several 7-day and 13-day itineraries, departing from Fort Lauderdale, New York City, Charlotte Amalie (St Thomas), and Bridgetown, Barbados. SeaDream Yacht Club is another great company, offering itineraries on its 56-sateroom twin yachts. Mediterranean: This summer you can see a lot of Europe for less - think gondola rides in Venice, cultural sights in Rome, and romantic sunsets in the Greek Islands. Royal Caribbean has 7-night sailings starting at just $399 per person in an inside cabin. Get to know ports of call in Italy, Slovenia, Croatia, Greece and Turkey (itineraries vary depending on which itinerary you end up booking). Visit Eastern Mediterranean aboard Norwegian Cruise Line for as little as $349 in an inside cabin. Several itineraries are available departing from Venice, Italy, from June through September. You can also book a European trip aboard the brand new Norwegian Epic round trip from Barcelona, Spain. 7-day Western Mediterranean sailings aboard this cool ship start from $749 per person in an inside cabin. Celebrity is offering 35 itineraries of 6 to 12 nights in the summer, priced from $999 per person. Visit the Greek Isles & Turkey, and famous destinations in Italy, such as Sicily, Capri and Rome. 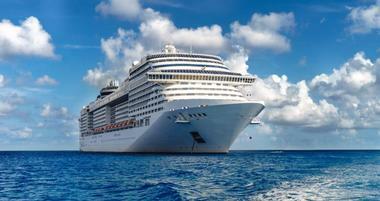 Mediterranean cruises are becoming increasingly popular. Travelers can now choose from a variety of different ships and itineraries. Seabourn and Silversea operate small luxury ships and offer different itineraries from spring to fall. Royal Caribbean offers 12-Night Eastern Mediterranean cruises aboard their large ships. Silver Wind is a small luxury cruise ship offering seven to 14-day sailings from July to mid-October. Voyages include various ports in Italy, France, Spain, Portugal, Monte Carlo, Greece, and the United Kingdom. Silversea offers a special program through which guests can choose the length of their voyage (five-day minimum) and decide where to embark and disembark. Brilliance of the Seas offers 12-Night itineraries from Barcelona, with visits to Nice, Florence, Naples, Venice, Dubrovnik, Corfu and Rome. This is a large cruise ship with facilities such as a rock-climbing wall, jogging track, basketball and volleyball court, golf simulator and a nine-hole miniature golf course. Hawaii: Visiting Hawaii on a ship has its advantages. First of all, you can visit several islands in a short period of time. Secondly, it means unpacking and packing your bags only once. Several major cruise lines visit the islands on their journeys, however, Norwegian Star is the only seven-day round-trip ship to include the four main islands, Oahu, Hawaii, Maui and Kauai. The reason for this is an old U.S. law that requires foreign-registered vessels to visit a foreign country or a distant port if it is allowed to pick up and drop off passengers at a U.S. port. NCL's Pride of America is a modern ship which sails 7-day round trip itineraries from Honolulu. Royal Caribbean offers eleven and 12-day itineraries. 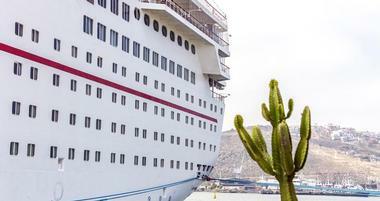 The 10-night trip departs from Ensenada, Mexico. The ship stops on the Big Island, Maui, Kauai, and Oahu, with a disembarkment in Honolulu. The 11-day itinerary, on the other hand, departs from Honolulu and disembarks in Vancouver, British Columbia. 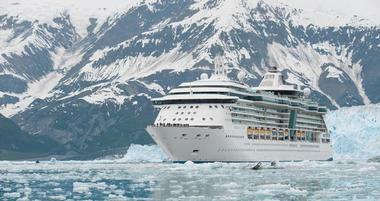 Alaska Cruises: Alaska is one of the most popular cruise estinations in the summer months. Ships offer itineraries ranging in lengths from a few days to several weeks. Many incorporate stays in land-based lodges an a variety of exciting excursions. If you go in June and July, days will be the longest and the warmest, giving you plenty of time to explore the natural beauty of remote Alaskan destinations. Norwegian offers five to seven-day itineraries, including Pacific Coastal from Los Angeles to Vancouver, Glacier Bay, and Sawyer Glacier. Choose a round-trip itinerary from Seattle, round-trip from Vancouver, Seattle - Vancouver, or Vancouver - Seattle. 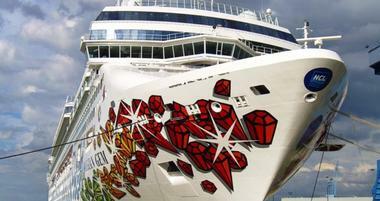 Both Norwegian Sun and Norwegian Sky offer sailings May through September. Crystal offers ten to 12-day Alaska sailings aboard its luxury 940-passenger ship. From May to September, guests can go on a round-trip Alaska & Canada itinerary from San Francisco. The ship will visit the Inside Passage, Sitka, Hubbard Glacier, Skagway, Juneau, Ketchikan, and Victoria, BC. Several of the Royal Caribbean's ships sail on 7-day itineraries. 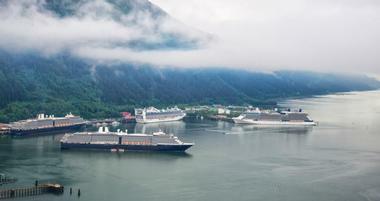 Radiance sails round-trip from Vancouver, visiting Ketchikan, Skagway, Juneau, Sitka and Seward. On shore activities include hiking, a helicopter adventure, high-speed catamaran, and mountain biking. Holland America offers a number of itineraries that range from 7 to 20 days in length. Travelers can choose from Alaska cruises, Alaska & Yukon tours and land vacations. 7-day Alaska cruises include Alaskan Explorer roundtrip from Seattle to Glacier Bay National Park, or Hubbard Glacier and Yakutat Bay. Rates start at $849 per person, depending on when you go. 7-Day Glacier Bay Inside Passage Cruises sail roundtrip from Vancouver to Glacier Bay & Sawyer Glaciers, Juneau, Skagway and Ketchikan. 7-Day Glacier Discovery Cruises sail the inside passage and Gulf of Alaska between Vancouver and Anchorage. CruiseTours feature itineraries to 11 National Parks, including Denali, Kluane National Park, and Tombstone Park in the Yukon. Visitors to Denali travel aboard the McKinley Explorer dome railcars which offer great views of wildlife and the scenery. Shore excursions include hiking, jeep tours, fly-fishing, and scenic flights. Glacier Discovery CruiseTours range from 11- to 20-days, commencing or ending with a seven-day cruise between Vancouver and Seward. Galapagos: Galapagos islands in Ecuador are famous for the abundant wildlife, unique birds, large tortoises and limited access to tourists. Several companies offer itineraries on smaller ships that range from 7 to 16 days in length. Lidblad Expeditions has about 40 year of experience in the region. The company has two ships - Polaris and the new Islander. Sailings are offered year-round with 10- and 16-day itineraries. Celebrity's Xpedition can accommodate 94 passengers on its 7 to 13-night voyages. The company offers a number of shore excursions that let you explore the area. 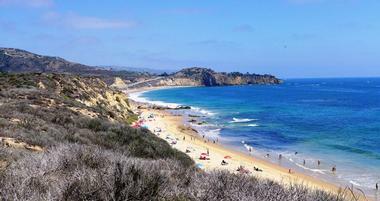 Some of the activities include snorkeling with sea lions, hiking and other tours. Abercrombie & Kent offers 11 and 12-day sailings. Trips to Antarctica with A & K: Abercrombie & Kent's Explorer II Ship offers Antarctica itineraries every year from November to March. The voyages last 14 to 20 days and bring travelers close to penguin colonies, icebergs and glaciers. To view blooming wildflowers on the Falklands and South Georgia, and observe elaborate penguin courtship rituals, book a trip to Antarctica in November to early December. Mid-December to January is the best time to see penguin chicks and seal pups as well as enjoy longer days. February to March is whale and seal watching season. Prices start at $6,355 per person based on double occupancy. Reservations can be made online at www.abercrombiekent.com or through a travel agent. Ask for specials, such as early booking offers and other deals. Family Cruises: Norwegian and Nickelodeon have announced "Nickelodeon All Access Cruises" featuring seven days of Nickelodeon-themed entertainment. Kids have a chance to meet Nickelodeon stars; attend screenings of never-before-seen episodes of hit Nick shows; and enjoy interactive game shows for the entire family (from $1,349 per person). Adventure of the Seas is one of the newest and biggest ships operated by Royal Caribbean. It sails roundtrip from San Juan, Puerto Rico to the Southern Caribbean, visiting Aruba, Curacao, St. Maarten and St. Thomas. Kids can spend time at Club Ocean, a dedicated area for children offering a number of programs. Travelers can also enjoy fun time at the Ice Skating Rink. The ships also features a teen disco and video arcade. Norwegian Star, operated by Norwegian, sails in Hawaii. Guests can take advantage of a large children's center complete with a playroom, outdoor pool, movie theater, computer rooms, teen center, video arcade, a nursery and toddlers' nap room. Voyager of the Seas, Adventure of the Seas' sister ship, offers its guests new and exciting facilities such as an ice-skating rink, a rock-climbing wall, and the Royal Promenade. Kkids can spend time at a dedicated play area and participate in the Adventure Ocean program. Royal Caribbean offers a special Kid's Menu as well as a kid-only dinners which give kids the opportunity to meet new friends. 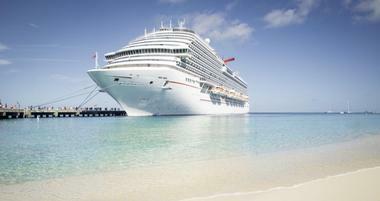 Honeymoon Cruises: Newlyweds planning a honeymoon trip are faced with a great number of choices. Ships of all sizes sail to different lengths to destinations around the world. If you are looking for a sailing on a small ship, take a look at Seabourn and Silversea. The company operate a few intimate, romantic and luxurious ships with an emphasis on personalized service. If you prefer a larger ship, Crystal offers voyages aboard its two 940-passenger luxury ships Crystal Harmony and Crystal Symphony. Guests can indulge in innovative cuisine, relaxing spa treatments, and a variety of excursions. One of the destinations which is becoming increasingly popular is Hawaii. Norwegian Star provides seven day round-trip voyages from Honolulu. The 2,200-passenger ship offers numerous onboard activities, ten different restaurants, a Mandara spa. You may want to splurge on one of the 107 mini-suites with balconies, and take advantage of exciting excursions exploring the islands. There are no fixed dining times, so you can dine whenever you like or order room service in your cabin. Solo Travelers: Grand Circle Cruise Line announced the launch of "The Rivieras: France, Italy & the Isles", a new 15-day small ship tour. With only 50 passengers on board the ship, the vessels have access to smaller ports that large ships cannot enter, allowing vacationers to explore small towns and villages along the European Riviera. The company is well known for its excellent service and pricing is as all-inclusive as it gets. Sailings are priced from $4,795 for a 16-day tour, including airfare from New York or Newark, government taxes, fees, fuel surcharges, and airport transfers. There is an excellent program in place for solo travelers which represent 25% of the customer base. The company offers free single supplements, free single supplements on all pre-and-post trip extensions, a free Matching Roommate program, free online Travel Companion program, and more. In addition, the fleet offers solos a Lowest Price Guarantee. P&O Cruises Adds New 2-Day Short Cruises: P&O Cruises has added nine short itineraries ranging from two to five nights, visiting the Channel Islands, Belgium and the Netherlands. The ships depart from and return to Southampton in the United Kingdom, so if you are in Europe this summer, check out one of these quick getaways. Combine a trip to London with a quick trip around some of the most famous European ports. The short itineraries are available on a choice of family-friendly large and mid-sized ships from April to July. Prices start from 199 GBP per person for a two-night trip on Azura in April. If you can't commit to a longer trip because you are not sure if your kids will like it, these short itineraries offer a great way to start cruising as a family. If you are looking to explore the South Pacific, Australia, New Zealand or Asia, take a look at the itineraries. P&O Cruises depart from Sydney, Brisbane, Fremantle, Newcastle and Auckland. Founded in 1837, the cruise line operates 4 ships offering itineraries all around the world (pocruises.com). SeaDream Yacht Club Expands to Asia: The luxury SeaDream Yacht Club announced brand new Asia itineraries aboard SeaDream II. Christmas rates start at USD $3,599 per person. To obtain the additional 10% savings on all Asia voyages, mention promo code ASIA10 at time of booking (www.SeaDream.com). The 56-sateroom twin yachts are a favorite with vacationers who like small ship luxury cruising. Both yachts have a five star spa and world-class cuisine. In addition to the new itineraries in Asia, the yachts cruise in the Caribbean, Costa Rica, the Mediterranean and Black Sea, Asia and the Baltic. Tere Moana Sets Sail in the Caribbean: If you've been to to South Pacific, you've heard of Paul Gauguin Cruises, famous for their luxury service. The company just christened the completely renovated Tere Moana which will sail in the Caribbean, Panama Canal and Europe. Several transatlantic crossings between Europe and the Caribbean are also available this year. 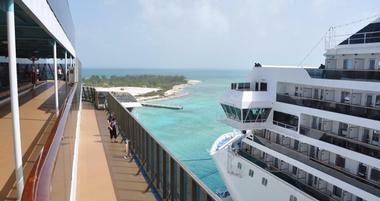 Tere Moana, Paul Gauguin renovated ship, announced that it will offer itineraries in the Caribbean in 2013. The 90-passenger vessel is a great way to visit many islands in a short time in an intimate setting. Because the ship is so small, it can reach otherwise inaccessible hidden ports. Guests are accommodated in spacious staterooms and are invited to relax in the luxurious spa. The ship has an onboard watersports marina offering plenty of fun water-based activities. There are two open-seating restaurants, letting vacationers pick where and when they want to dine. The onboard lecture program lets you learn about the history and culture of the places you visit. The Moana was built in 1998 and measures 330 feet in length with a 46 foot beam. Book one of the staterooms with a terrace and enjoy warm ocean breezes. 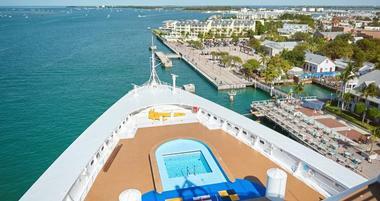 All of the 45 staterooms have ocean views, but only 8 offer balconies so book early. With a crew to guest ratio of 1 to 1.5, you don't have to worry about the quality of service. Gratuities are included in the cost, the idea being that guests should not have to stress about tipping while they cruise. There is complimentary 24-hour room service and complimentary beverages are served on the ship (pgcruises.com). Caribbean Family Adventure aboard the New Disney Fantasy: Take the kids on an exciting adventure aboard the state-of-the-art Disney Fantasy built for families. One of the unique features is the AquaDuck water coaster which traverses the upper decks of the ship while you accelerate and twist through hills and river rapids. 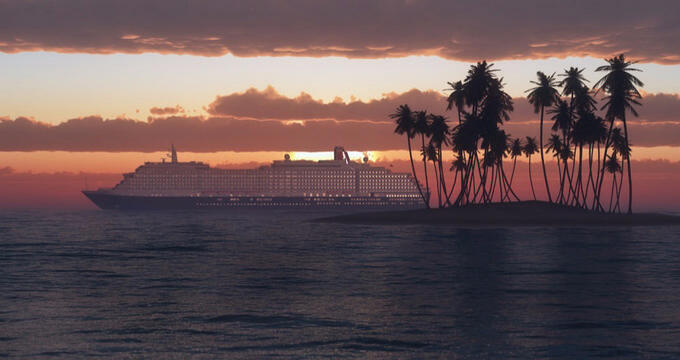 The design of the ship is based on the early 20th-century's golden age of cruising, coupled with modern technology and entertainment features that the whole family can appreciate. For mom and dad, there is the luxurious Senses Spa & Salon with floor-to-ceiling windows looking out to sea, as well as a quiet pool area just for adults. Goofy's Sports Deck offers a miniature course, virtual sports simulators and a basketball/volleyball court. Most of the staterooms on Disney Fantasy have a bath and a half, a valuable feature when traveling with kids. The Concierge-level staterooms give you access to a private sun deck and Concierge staff. Consider booking a stateroom with a verandah so that you can go outside and enjoy cool ocean breezes once the kids go to sleep.